ABERDEEN PROVING GROUND, Md. 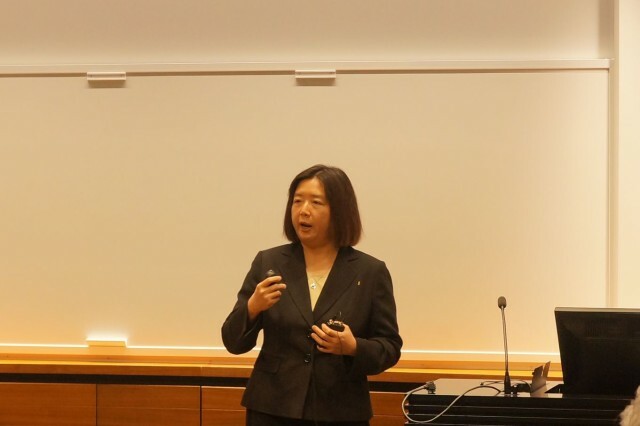 (July 24, 2014) -- Dr. Jessie Chen from the U.S. Army Research Laboratory Human Research and Engineering Directorate in Orlando, Fla., recently spoke to leading researchers in emotion science and social robotics with Department of Defense scientific leaders and Yale University students in the area of intelligent autonomous systems. The symposium/exchange provided a forum to discuss the future direction of human-machine teaming, or HMT research, and how it might align with future needs in the Department of Defense and society. Chen's topic was human-agent teaming and agency transparency. She spoke about human collaboration with intelligent agents to include robots and software agents. Chen received the invitation to speak at Yale from Dr. Charlene Stokes-Schwartz who is a research psychologist from the U.S. Air Force Research Laboratory and also a research associate at Yale University, Center for Emotional Intelligence. "We are especially focusing on agent transparency -- agent making its actions, intent and reasoning process more transparent to the human, so the human can have better situational awareness of the agent in its tasking environment," Chen said. "During our interaction with the students, we were able to learn about their work on human-agent teaming and discuss those research issues relevant to both their and our projects." Stokes-Schwartz said they had conducted other symposiums in the past, but this was the first DOD-Yale targeted exchange on the topic of HMT and said that Chen was a great addition to the event. "Our group at AFRL is well aware of her high-quality research and reputation in the area," said Stokes-Schwartz. 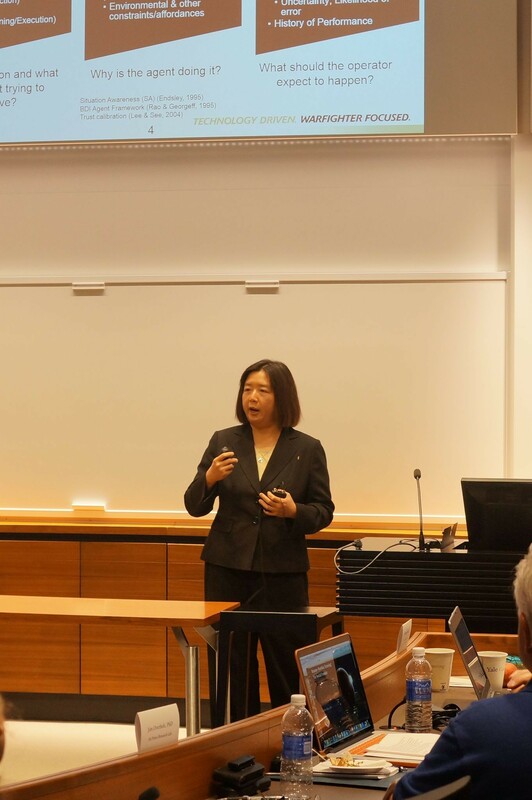 "It was our intention to have a research representative from each of the service labs, and it was an honor to have Dr. Chen be a speaker, and represent ARL research at the event. We were looking for current empirical investigations in autonomous systems and Dr. Chen's represented studies provided insight and data for the group -- it met our goals perfectly." Chen said her experiences at Yale proved extremely valuable. "We had great discussion with Yale faculty working on emotion research, which can be applied to human interaction with agents," said Chen. "For example, if agent makes its observation of the human's emotions known (e.g., frustration), would it enhance the rapport between the human and the agent? If so, what issues should be addressed to make this interaction effective? I felt honored to be invited to speak at this event."